Fragments of the Sutter’s Mill meteorite fall collected by NASA Ames and SETI Institute meteor astronomer Peter Jenniskens in the evening of Tuesday April 24, 2012, two days after the fall. This was the second recovered find. 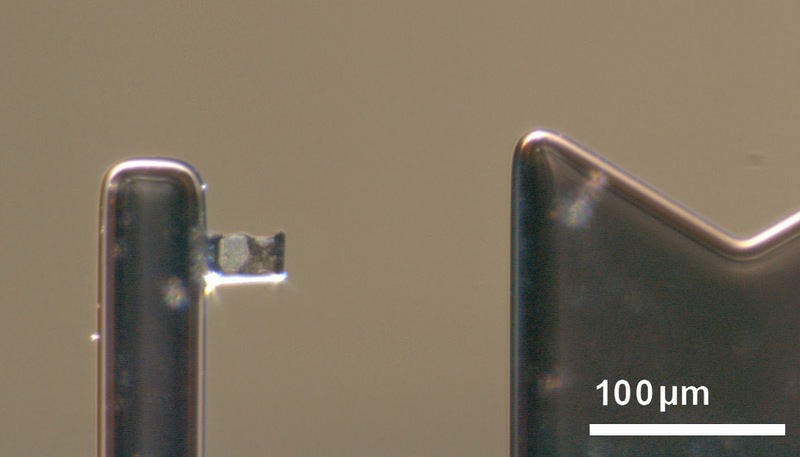 This is a secondary electron image of two large diamond crystals in the matrix of the Sutter's Mill number SM2 meteorite, as prepared by a focused ion beam. The origin of the diamonds is something of a mystery since they are considerably larger than those found in any chondritic meteorites. The diamonds are transparent and colorless in this optical image of the same focused ion beam-prepared slice of Sutter's Mill number SM2. Researchers digging deeper into the origins of the Sutter's Mill meteorite, which fell in California's Gold Country in 2012, found diamonds and other "treasures" that provide important new insight into the early days of our solar system. 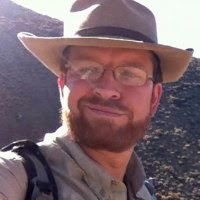 They report their results in thirteen papers in the November issue of Meteoritics & Planetary Science. 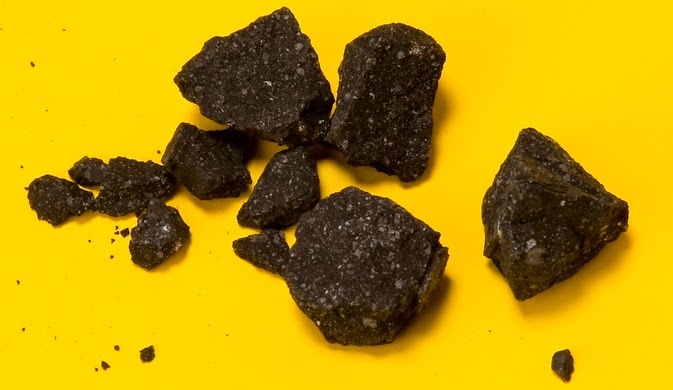 "Sutter's Mill gives us a glimpse of what future NASA spacecraft may find when they bring back samples from a primitive asteroid,” said consortium lead Peter Jenniskens of the SETI Institute in Mountain View, California, at NASA’s Ames Research Center in Moffett Field, California. "From what falls naturally to the ground, much does not survive the violent collision with Earth's atmosphere." Jenniskens found one of the first and one of the most unusual of the Sutter's Mill meteorites before rain hit the area. 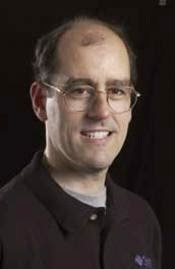 In his search, Jenniskens was guided by Marc Fries of NASA's Johnson Space Center, in Houston, who describes in detail how Doppler weather radar enabled the rapid and pristine collection of the meteorites. 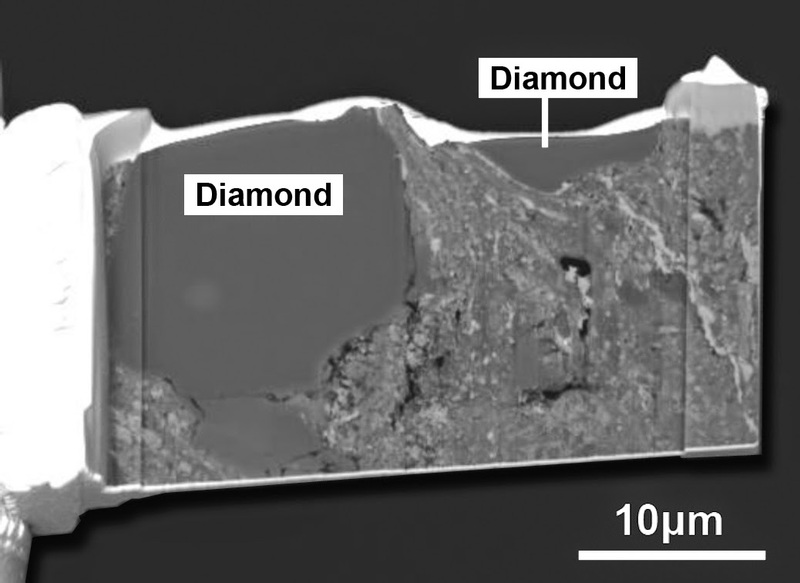 "The two 10-micron diamond grains we found in this meteorite are too small to sparkle in a ring," said Mike Zolensky, space scientist of Johnson, working with associate professor Yoko Kebukawa late of Hokkaido University, Japan, "But their size is much larger than the nanometer-sized diamonds commonly found in such meteorites." Nano-diamonds are thought to originate in the atmospheres of stars. The larger diamonds found in Sutter's Mill may have had another origin closer to home. "We suspect that these diamonds are so-called xenoliths,” says Kebukawa. "Bits and pieces that originated in the interior of other much larger parent bodies." University of California (UC), Davis researchers Akane Yamakawa and Qing-Zhu Yin studied the different forms of the element chromium, called isotopes. They found that at least five different stellar sources composed of mixtures of 54-chromium-rich and -poor materials must have contributed matter to the nascent solar system four and half billion years ago. Some of these materials remained in the Sutter's Mill meteorite. "The formation of the solar system did not fully erase and homogenise these signatures and Sutter’s Mill provides the clearest record yet," said Yin, also a co-lead of the Sutter’s Mill Meteorite Consortium. Some fragments escaped alteration by liquid water, while others where heavily altered. Based on isotopes of the elements manganese and chromium, NASA Earth and Space Science Fellow Christine Jilly and colleagues now report when that happened. "We determined that minerals such as calcium and magnesium carbonate likely precipitated from liquid water 2.4 to 5.0 million years after the formation of the solar system," says Jilly. "It is possible that radioactive compounds in the meteorite's parent body heated the nascent planet to the point that water ice became liquid." In primitive meteorites like Sutter's Mill, some grains survive from what existed in the cloud of gas, dust and ices that formed the solar system. In Sutter's Mill, the liquid water appears to have destroyed the silicate type of these, according to Xuchao Zhao of the Chinese Academy of Sciences, working with NASA and UC Davis colleagues.